I never knew what it was like before to still be in love after the “honeymoon phase,” or the new relationship energy. That kind of love where words don’t seem to matter as much as touch… Gentle and chased touches potent with tangible feeling convey so much more. He kisses me– he lays his head upon my shoulder– and I am in awe of how soft he can be… How gentle. How strangely fragile.. He is a true beauty of this world. Precious beyond measure. Beautiful as the stars. Entwined with my heart. My most precious treasure, my most trusted advisor, my dearest friend, and my closest ally. Home should be the place where you feel most comfortable. This is the place you retreat, to rest. This is the foundation upon which all other daily acts are built. We know now that a person’s quality of sleep determines how well they are the rest of the day. And even if we haven’t read the studies, we feel it. But I believe this extends to not just the act of sleeping, nor the physical area of the bedroom, but to the state of the entire living space. The physical environment in which we live– the immediate surroundings, and the people who have access to them, and by extension, our time and energy make an enormous difference in our physical and mental health. That was why it was so important to escape my parent’s house with the help of a friend– throwing anything that would fit into his car and leaving the city abruptly, with no job and no long-term living arrangements. To this day, and despite the enormous difficulties that followed, I am still completely certain I made the right choice. With that decision, I saved my on life. Though I now live with two amazing and remarkable friends, who are also compatible as roommates, and the specter of abuse has quieted to a vague and unsettling memory…. I’ve found my ambitions are meeting the monumental resistance of the laundry on the floor… and the books on the desks…. If I am to develop a business from home, it stands to reason I should be comfortable with my home first. I need desk space to work. I need shelves and cabinets to organize. I need decoration to inspire… I need my shower to be clean to want to clean my body more than twice a week. How this is going to work out, with my ADHD-and-Depression-induced executive dysfunction… is anyone’s guess. 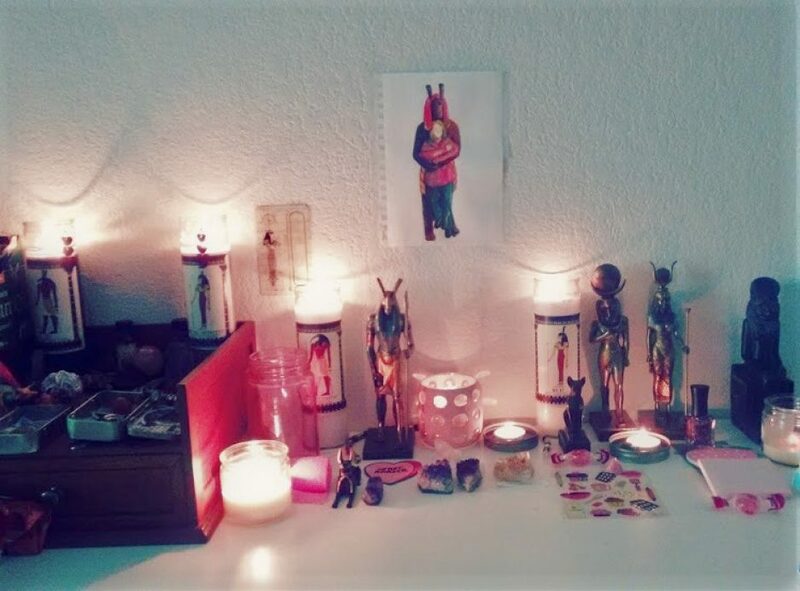 I’ve been dedicating small household chores to “ma’at,” to keep myself motivated and consistent. Next ›Journey Through Journalling: Week 1, Part 3.